The Beautyrest Back Sleeper Pillow features a 500 thread count cotton cover to provide the ultimate comfort. This 100-percent cotton bed pillow is filled with luxurious Dreamloft fiber,providing a restful retreat. This pillow supports any sleeping position, giving the support you need for the perfect night's sleep. The Beautyrest Back Sleeper Pillow Jumbo Size (Single has many exciting features for users of all types. 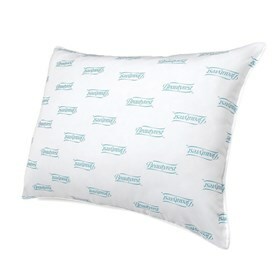 The Beautyrest Back Sleeper Pillow Jumbo Size (Single is sold as a Brand New Unopened Item.